Do you have a stream of creative thoughts running in your mind which you want to weave in to a great story or a write-up? Do you feel like sharing your personal experiences with others? If yes, then I would suggest that you should start with blogging. 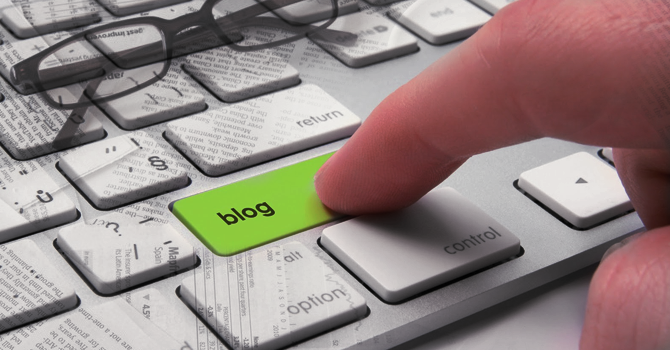 Today, there are several blogging platforms to suit various writing styles. It depends on whether one wants to do casual blogging or run a professional blog. I have tried including different publishing platforms with an intent to help every reader relate to my post. There are sites available for professional bloggers allowing to own their own domain name for the blog. Besides, there are certain blog sites which focus on other aspects, such as search engine optimization, Google analytics, online design tools and other software applications that make your blog look much better. I have covered each one of them offering the latest features. You can also look upon one of our written post ‘How to write blogs from scratch‘ But, through this post, I am trying to emphasize one simple fact about blogging. A blog is all about good content, rest is secondary. If you are able to churn out engaging pieces of content then the publishing part can be taken care of easily. Considering this viewpoint and long term benefits of starting a blog, I have listed down 10 best blogging platforms for 2015. The aim of this post is to let readers get familiar with the different types of publishing platforms and help them to choose the right one for their blogging career. Most importantly, I want to introduce individuals with a flair for writing to this wonderful field of blogging and inspire them to explore and experiment with it. Alright, let’s start. Tumblr is all about those random blogs which you like to read in your spare time. It is filled with numerous posts, which are funny, hilarious, informative or interesting. The site has a huge collection of blogs catering to diverse fields, such as music, art, science, fashion and much more. It has something in it to keep every avid reader engaged.And, Tumblr is suitable for anyone who wants to start with blogging. Though, it is not about publishing topic-based lengthy posts, it can certainly give you an opportunity to feel and explore the world of blogging. Well, let me tell you what actually Tumblr is all about. It is a popular micro blogging platform as well as a social networking site founded in 2007. Tumblr basically is more about posting and sharing multimedia content and micro posts (short-form blogs). One can create his own personal Tumblr page to post content or to share a blog which he follows. You can post short videos, audio clips, images, quotes and links and share it with Tumblr’s online social community. Started in 2003 as a blogging system, WordPress has grown in to a content management system. WordPress is a robust publishing tool for creating and maintaining personal/professional blogs. Considering its popularity and global reach, several companies also find it easier to promote their marketing strategies and build online presence through their own WordPress-based blogs. It allows one to self-host his or her own blog or website. It is an efficient website builder and currently powers millions of large and small websites. As a content-management system, WordPress offers several features, such as theme design, software upgrades, configuration of custom domain names and optimization for search engines, such as Google and Yahoo. WordPress blogs are run by several artists and freelancers for building and showcasing their work portfolio. Medium is not just a good blogging platform but also an online space to read quality content. On Medium, you will find personal narrative essays, creative write-ups, short stories and articles on the trending topics by various authors. The site allows blogging in the real sense of the term, which means it is not ideal to use for any brand or company. But, it is a great platform to get an audience for your blog. Blogger is a great platform for anyone out there who wants to maintain a casual blog. But, it can also be used for running a professional blog or a company’s blog. Blogger offers several designing options, such as various background images and themes, flexible layouts, templates as well as CSS and HTML editing. I would highly recommend Blogger for anyone with a flair for writing and is looking forward to start with blogging. Anchor is a free publishing system for blogging enthusiasts. It provides a rooster of benefits, such as an option to write in Markdown or HTML, theme creation/modification, an option to add/remove custom fields and much more. Moreover, Anchor is a great content management system (CMS) that powers several personal, portfolio and business websites. Launched in 2004, Squarespace is a powerful platform to build websites. The site has a huge in-house collection of templates which are rich in visual quality. The templates are suitable for building different websites for restaurants, small businesses, media houses and more.One can easily build a blog, an e-commerce store, painting/photography portfolio, art/picture gallery, business website or site meant for models and musicians. These templates come with options for determining layout features, text insertion, image or slideshow upload and much more. With easy-to-use drag and drop features, you can easily position pictures, content, slideshows and more in to the website builder and build a cool website. Squarespace is ideal for anyone who is not tech-savvy but would like to start with blogging right away. It is because Squarespace is paid and not open-source as well as offers 24/7 support. Being one of my personal favorites, I would recommend it to bloggers. Typepad is one of the most preferred blogging platforms for writers in the online publishing industry. The site offers multiple features, such as custom theme building, integration with Google analytics, design tools for creating templates and so on. One good thing about Typepad is that it is fully-hosted, so one can just start publishing without bothering about the technicalities. Ghost is a free and an open-source blogging platform and nothing more. The site endeavors to keep things as simple as possible for publishing your next solo blog or creating a full-fledged online newspaper. It has a huge library containing numerous themes, applications and other resources. It offers solution for application upgrade, theme modification, split screen writing interface and more. I have included Hexo for a simple reason that it is ideal for advanced bloggers. If you want to blog using Hexo, you need to know coding. That is because Hexo is a powerful blogging framework powered by Node.js. The framework supports deployment to Github or Heroku. For tech-savvy, professional bloggers, Hexo is worth giving a try. With that, our list comes to an end. I wanted to add more names, but I hand-picked only a few ones to cover different categories of blogging platforms. For instance, websites like Medium combine blogging with social network element. Whereas, WordPress and Squarespace are apt for professional blogging. Sites like Blogger and Anchor function as standalone blogs. So, the idea is to make you aware that there are different publishing platforms dedicated to each and every type of blog. Every platform is unique in itself offering a bunch of features that may vary with the rest. Content management systems (CMS) offer more features than a blogging software or an online publishing platform, but it all depends upon how far you want to take your interest in blogging. But, as I said before, a blog is all about content. So, if you were simply searching for a platform to express yourself then you should check out the names from the above list and just start blogging right away. Good Luck. I wanted to get your professional take on a platform to use… I want to develop an informational site, specifically a blog, that can be monetized later on down the line (affiliate partnerships/selling ad space possibly/e-commerce set-up). Besides WordPress, what platform would you recommend (user-friendly, reliable, solid tech support, etc.)??? Thanks in advance! Blogs might have fallen out of fashion a touch, due to the onslaught of social networks, but there’s something about having a space that’s properly yours, potentially free from the distractions of a billion adverts and countless competing status updates.